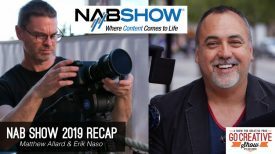 The Blackmagic Design Pocket Cinema Camera 4K took NAB 2018 by storm. It really was the talk of the show and everyone prior to it was hoping for an update and they got it. The camera is now shipping but it’s not available in large quantities yet. Demand is high and production doesn’t look to be matching it. 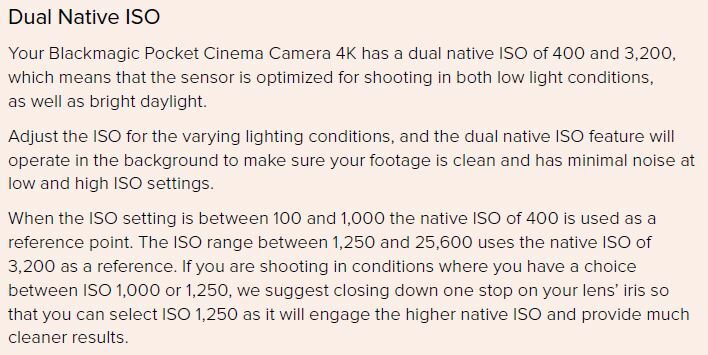 While this seems to be an issue with Blackmagic I thought they solved this with the release of the URSA Mini Pro but the Pocket 4K seems to be business as usual when it comes to delivery. 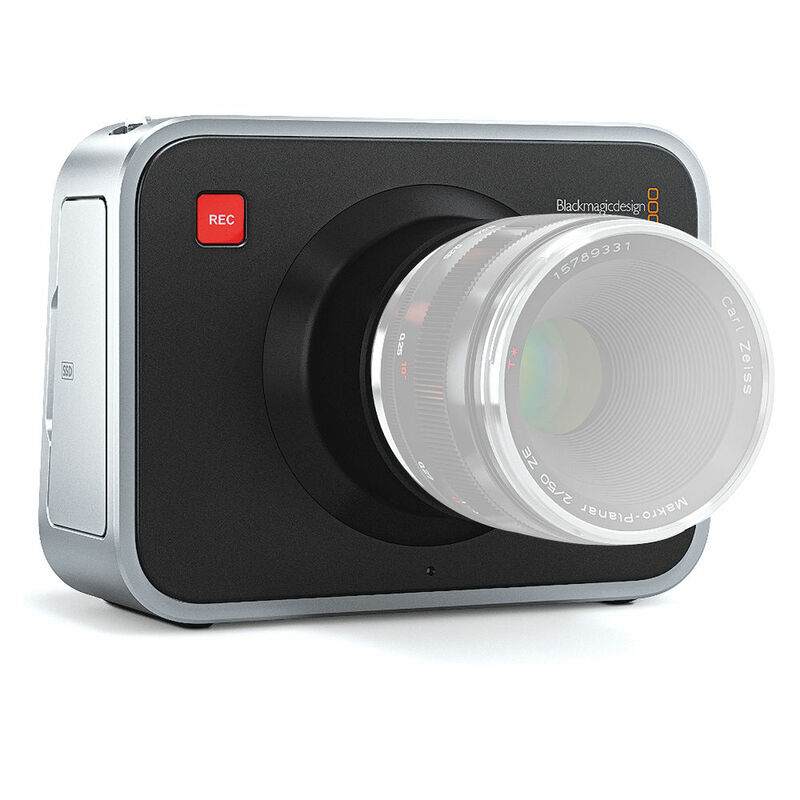 Blackmagic Design sent us the Pocket Cinema Camera 4K for a limited time to do a review. The only stipulation is that we don’t do a head to head or compare the camera with other cameras on the market. Blackmagic Design is a sponsor of Newsshooter.com. this review is independent and is not being reviewed or approved by Blackmagic Design in any way prior to release. Okay! Now that we have that out of the way lets get this review started! DaVinci Resolve Studio with an activation key. While Blackmagic Design is calling this the new Pocket 4K I feel it’s more like a new version of the original Blackmagic Cinema Camera. The Pocket 4K is closer in size as well as not having an EVF and only a big screen. 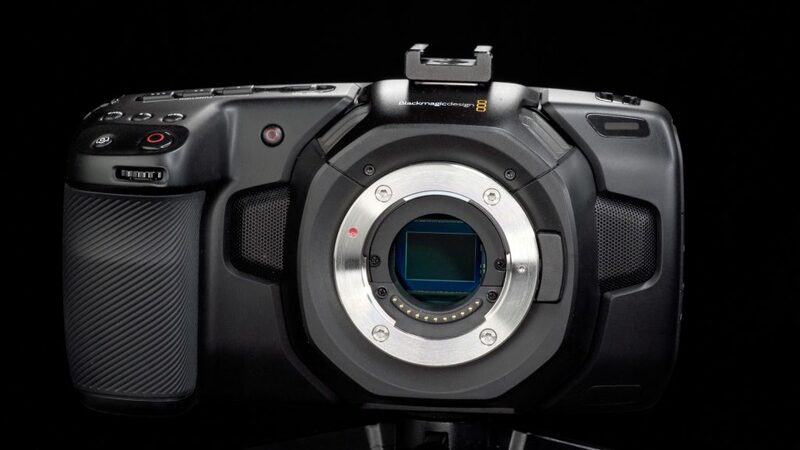 This was the original disruptor camera from Blackmagic and the Pocket 4K is poised to do the same. The camera is much larger than the original pocket by huge margins. In fact, it’s larger than most DSLR cameras. What makes it large is how wide it is but don’t let that fool you it’s actually very light in weight and feels chunky in the hand. The grip on the side is big. I have average sized hands and can hold it fine but it does feel larger than a mirrorless or DSLR camera. You would think with such a large grip the camera could have a larger higher capacity battery but it uses the Canon LP-E6. More on the battery coming up. Overall the body feels kind of plasticky. I suppose this has a lot to do with the weight and the new carbon fiber composite material the body is made out of, however, it just feels sort of cheap. One thing I noticed is the battery compartment door seems a little loose. The door for the media compartment snaps open and closes firmly. The covers for the inputs on the side are those pliable plastic type that pop off and are held on with a tab. I’m not a fan of these but we see them on a lot of cameras. On my C300 MKII, I pulled them off as they started driving me crazy. If this was my camera I would do the same. I like the shortcuts on the body a lot. You have three on top that can be programmed and three that are set for ISO, Shutter and White Balance. A stills frame can be taken with the stills button and the iris wheel has a push function for zoom in focus assist. As for the stills? I wasn’t impressed. On the back are an Iris, Focus, HFR, Zoom, Menu, and Playback button. The coolest of them all is the ability to push the HFR button and go into 60 frames per second. That is really convenient and fast without having to enter the menu to change frame rates. With the camera set to shutter angle, it will change as well when you enter 60p mode. The original Pocket Camera had a smaller Super 16mm Sized Image Sensor while the new Pocket 4K jumps up to Micro Four Thirds 18.96 x 10.00 mm sensor with Dual Native ISO. 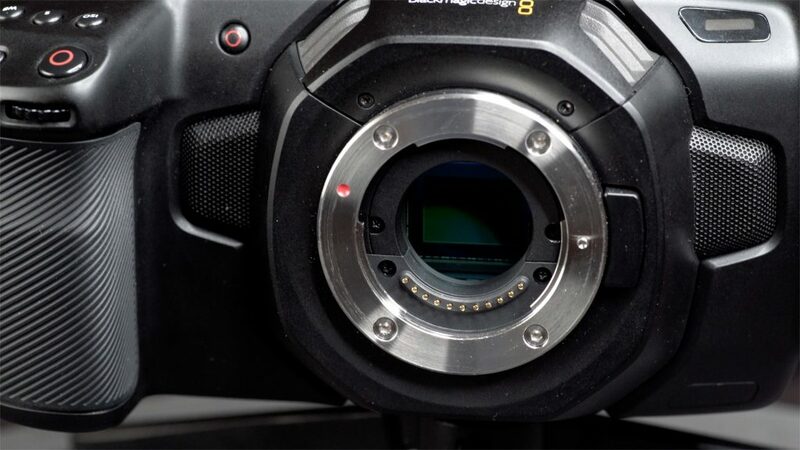 A first in the Blackmagic camera lineup to have. 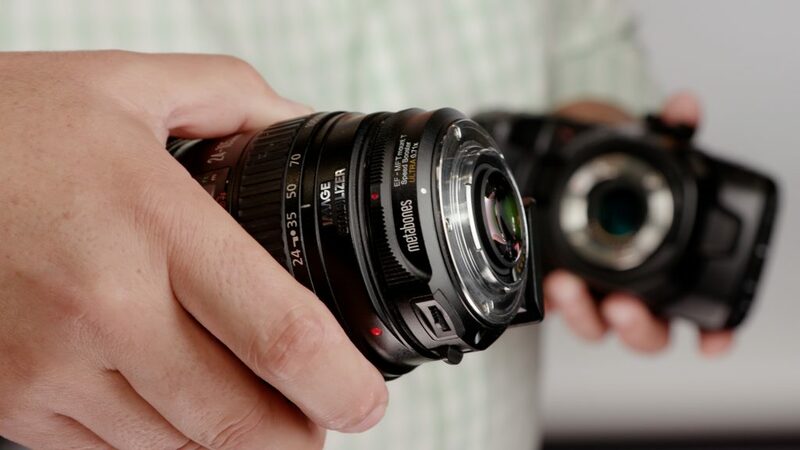 Will we see this in an updated URSA Mini Pro? The sensor does yield some nice images. More on that later. The Micro Four Thirds mount is very adaptable. Practically any lens can be used with the proper adapter. I have a few Canon EF lenses I use on Sony E mount cameras as well as the URSA Mini Pro 4.6K. The Canon 24-105 F4, Canon 70-200 F4 and a Duclos modded Tokina 11-16mm. I also have the very nice Lumix 12-35mm. I keep it around just in case I need it and I sure did with the Pocket 4K. The Lumix 12-35 works perfectly with the camera. Autofocus works pretty well. No Dual Pixel AF here and it does hunt a little but it’s better than not having any AF and could be improved over time. I wish I had the 35-100mm lens to pair with it. To shoot with my Canon EF lenses I have a Metabones EF Lens to Micro Four Thirds T Speed Booster ULTRA 0.71x. With the latest V3.0 firmware the Pocket 4K autofocus didn’t work at all. I tried both the 24-105 and 70-200. Image Stabilization works as does f-stop changes and it also shows the Speed Boost increase in the aperture on the LCD screen. I’m sure Metabones will update the firmware on the Speed Booster to get AF working as this will be a very popular setup. The Speed Booster XL would be a great option for full frame lenses. I like the ULTRA since I can also use APS-C lenses like the Sigma 18-35 and 50-100. The inputs and outputs are all on left side of the camera. On the top and bottom are airvents to keep the camera cool. There is a fan inside but I found noise not to be an issue. With so many cameras having a messy hard to use menu system I find it refreshing that the Pocket 4K inherited the simple URSA Mini Pro menu. The camera is so easy to get set up plus being a video camera, not a hybrid no photography settings needed. The menu navigates with the touchscreen and the setting options are nice and large making them easy to see and tap to select. Being true to the original Pocket Cinema Camera an EVF isn’t present on it’s 4K big brother. For the first couple of hours using the Pocket Cinema Camera 4K I instinctively wanted to lift it to my eye. It’s a very strange feeling knowing you can’t because the camera doesn’t have an EVF and this does cause some problems. It does have a nice full HD 5″ touchscreen. The image looks sharp and color representation also looks to be accurate but in bright sun the LCD screen is useless. It’s not a daylight monitor. In the shade, it performs fine but I struggled with it when the sun was behind me. The screen has good off-axis viewing angle which is nice since you can’t rotate or tilt the screen either. 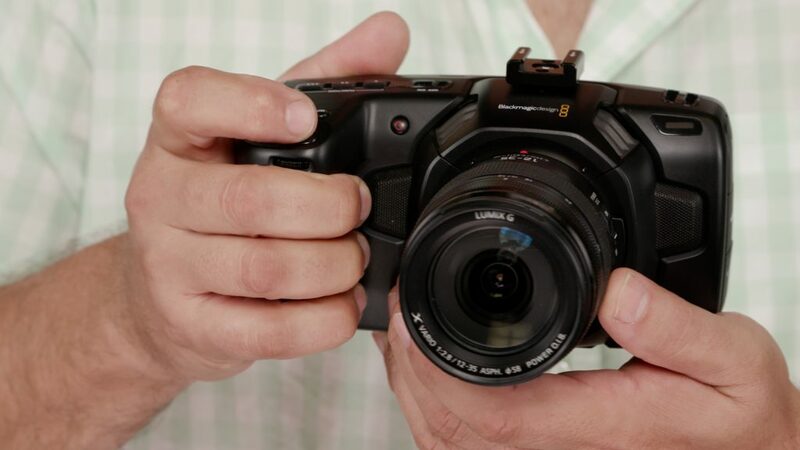 With Lumix lenses, the touch focus is pretty good. I wouldn’t say it’s a usable rack focus but it does lock in fairly quickly and nails it most of the time. A cage and a Zacuto Gratical HD will be a lifesaver for the Pocket 4K. Unfortunately, I don’t have a cage for the loaner camera to attach my Gratical HD EVF to. I tried, but with limited hardware, it wasn’t doable plus I wanted to get the experience of using the camera as is. Here is where the Pocket Cinema Camera 4K shines. Having ProRes as the main codec makes editing a breeze and the codec is very solid. Yes, it will take up more space on media cards but I’ll take that over computer intensive formats that require transcoding and rendering. Editing Long Gop and ALL-I codecs natively on a better than basic NLE can be a real struggle. We end up converting the footage or editing in proxy and all those options take up even more hard drive space and time. 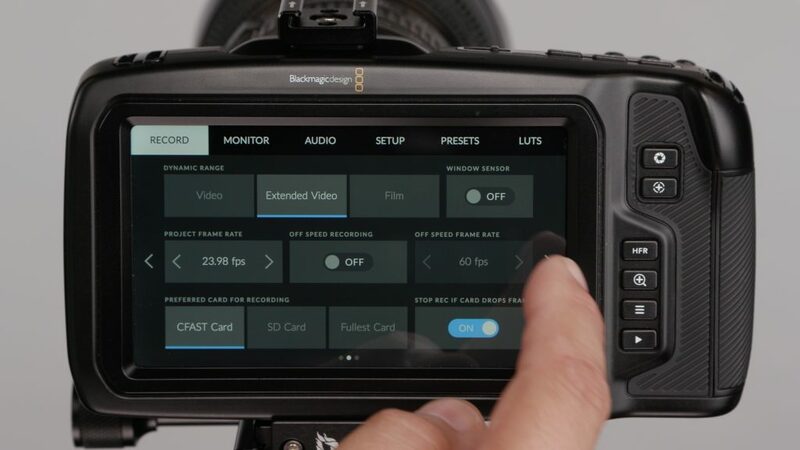 With the release of the Pocket Cinema Camera 4K, Blackmagic RAW isn’t included in the firmware but they have announced it will be available at a later date for no extra charge. The only issues are as of now DaVinci Resolve is the only NLE that can utilize the new RAW format. Hopefully others like Avid, FCPX and Premiere Pro to name a few of the popular NLE’s will support it but I think it’s going to take some time. For now, if you like RAW, you have CinemaDNG. You won’t get all the frame rates in all the resolutions however you do get a very good selection for a camera in its price range and overall size and that is impressive. To shoot at 120 fps it is in HD windowed mode and it looks really good. I shot this video at 120 FPS HD Windowed mode at 4000 ISO using ProRes 422. I really think ProRes acquisition for HFR is such a big deal as many cameras limit the Mb/s so low the image just falls apart. In post, I only cleaned it up with Red Giant Denoiser III. Yes, it’s noisy but the image has nice detail with very low in-camera noise reduction. Other cameras I’ve used get aggressive with the noise reduction at higher iso values. This smooths and softens the image and it doesn’t look very good. I feel the Pocket 4K detail is really good at 120 FPS. I have several of the Canon OEM batteries and an assortment of 3rd party versions. 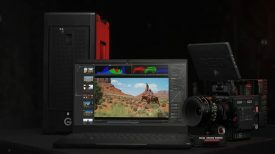 Blackmagic Design states 60 minutes of runtime. I haven’t been able to get this performance with the included battery or an OEM Canon battery recording to CFast media. Usable runtime with the Pocket 4K is closer to 30-40 minutes. You need to power the camera down when not recording to save battery. 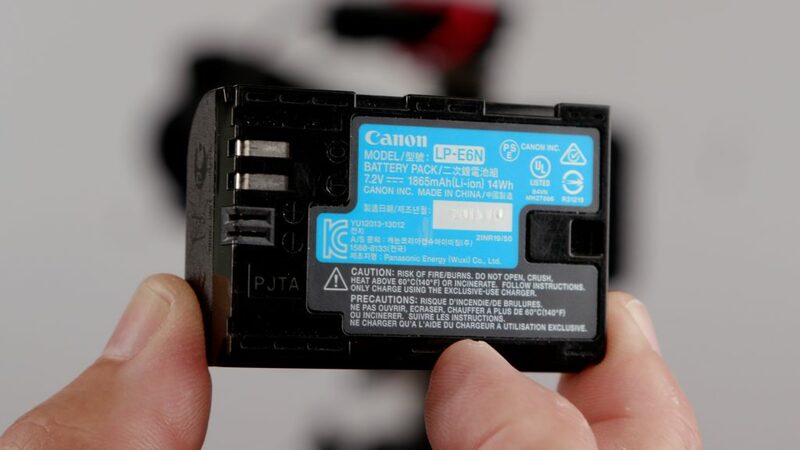 The Pocket Cinema Camera 4K uses the Canon LP-E6 type battery. It comes with one. 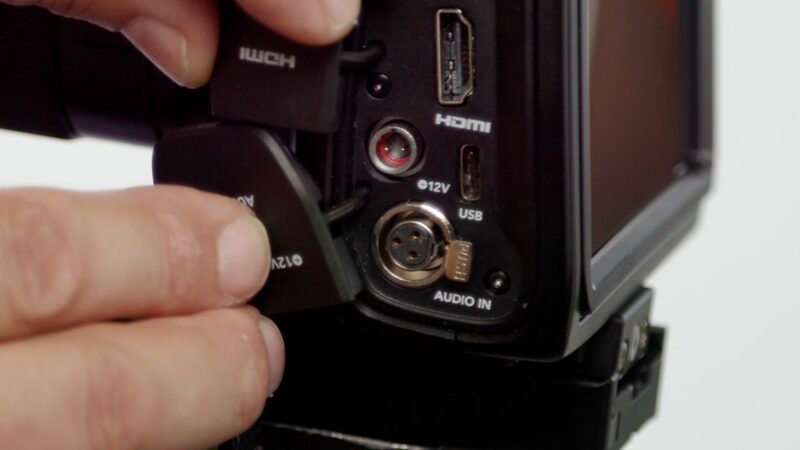 No charger is included however a 2-pin locking AC power cable is included and charges the battery inside the Pocket Cinema Camera 4K so essentially the camera is the charger. 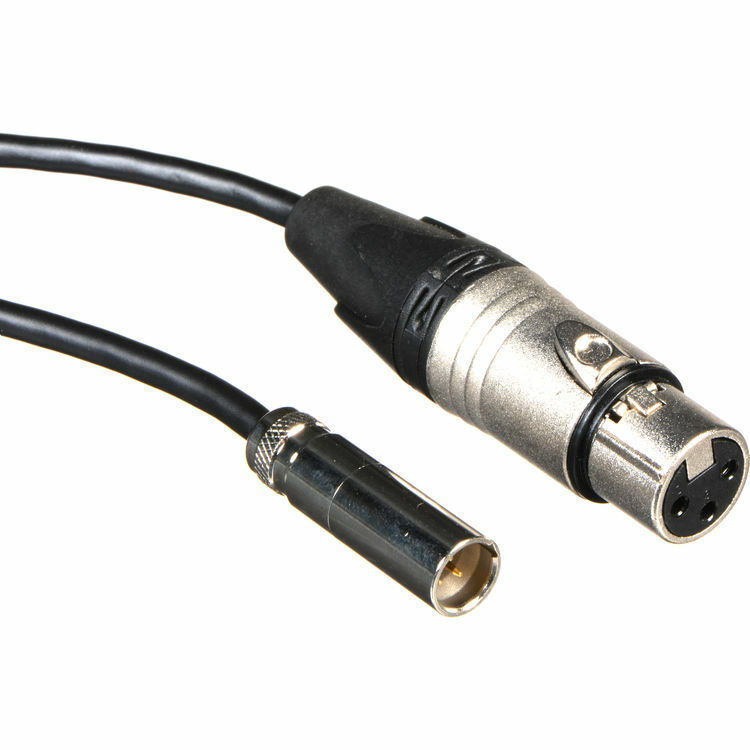 The camera can be powered with an external battery without using a regulated dummy LP-E6 since the input can take 12 to 20 volts or a D-tap to 2-pin cable. This is a first. I have one LP-E6 battery that would get stuck inside the camera. I have heard from other users that experienced this as well. I wasn’t sure how to get it out but decided to try a strip of gaffers tape and press it on to cover the entire end of the battery. Hold the release button and pull it out. After a few attempts, it worked and the battery was removed. No damage was done and I can’t figure out what is causing it. 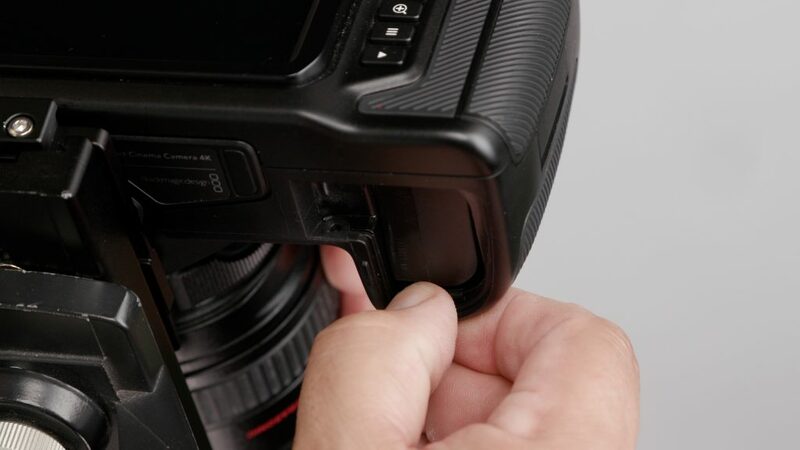 I think it’s the two slots that are used to charge the battery in the camera that is holding it in. Maybe the spring isn’t strong enough to push it out? I’m not really sure. The battery that is supplied with the Pocket 4K doesn’t have issues with getting stuck inside the body however it doesn’t work with the battery status on the camera. The fuel gauge shows “0”. No issues with OEM Canon LP-E6N and LP-E6 batteries. 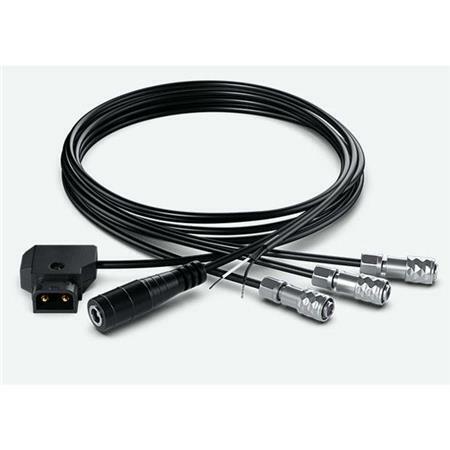 Blackmagic Design has a DC cable pack that includes a D-tap to 2-pin, 2.5mm barrel to 2-pin and an extra 2-pin non-terminated cable for creating your own custom cable. All cables are 650mm long and retail for $55.00 US. With the proper 2-pin locking connector cable to D-Tap and a V-lock or Gold Mount battery, you’re good to go for several hours. A major flaw with the Pocket 4K is it will shut off while recording even when the battery indicator is showing 30% or 40%. The camera isn’t correctly estimating the actual amount of power left. When I put a full battery in the indicator will quickly show the battery depleting even before I start recording. This needs to be addressed in a firmware update stat! It might not be a camera software issue but more of a camera power consumption issue. While I have had the camera shut down while recording several times the clips didn’t become corrupt or was deleted. This is some good news but like I said. It’s scary and I can’t imagine that clips eventually wouldn’t get corrupted with such abrupt shutdowns. 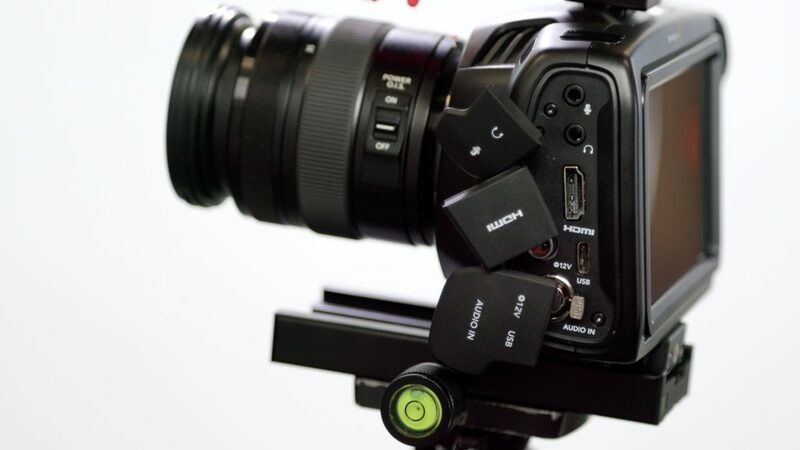 Blackmagic Design said they will look into this issue further but stated the clips close every 10 frames, therefore, you could lose approximately 10 frames off the end of a clip. I tested several batteries and I’m finding a big discrepancy with them and when the camera will shut down. With Canon OEM LP-E6N I was getting much better performance. The camera would drop to around 9% and then shut off. For now, I highly recommend the Canon OEM batteries and change them around 15% warning. I still got around 40-45 minutes with Canon OEM. I recently reviewed the Core SWX PowerBase Edge and it is a really great way to power the camera for a long time. While it looks bulky it doesn’t feel too bad to hold since the camera itself is very light. On a tripod, it’s a no-brainer and very simple to use plus it can power your accessories as well. The Pocket Cinema Camera 4K for serious use will probably end up in a cage or rig. If you need an EVF, and I think you will for certain situations like shooting outside in the sun or just don’t want to swap out batteries every 30 minutes and opt to record on an SSD drive, which is a pretty cool option to have. Some type of larger rig is going to be needed. With a Canon OEM LP-E6 I got 41 minutes of continuous recording then the camera shut off without warning. When I put the battery back on the charger it showed 20% was left. The clip wasn’t deleted or corrupted. 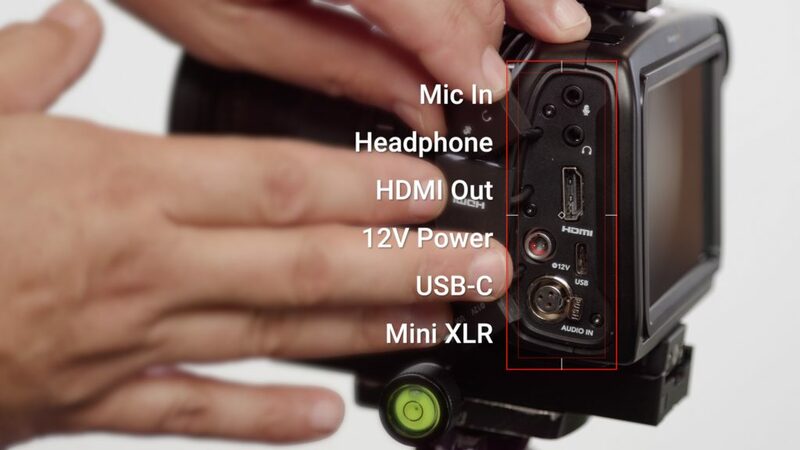 Onboard microphones on cameras are generally not that great. I would say the Pocket 4K is better than most but none are as good as adding an external mic like a RØDE VideoMic Pro. It’s fine for scratch audio or simple ambient sound. 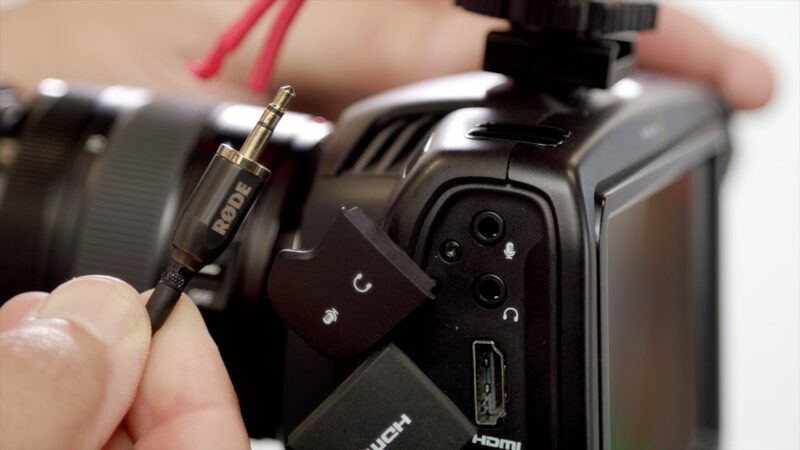 One feature that is usually lacking in hybrid cameras is audio inputs. That 3.5mm jack can go only so far. I tested the input with a RØDE Lavalier microphone. To get a proper level I had to set the level at maximum. This generally isn’t a good thing as it could also bring up the noise floor pushing the preamps so high. I had an issue with the 3.5mm input. After several days of shooting and using the 3.5mm input to record my audio, the input broke. I pushed the connector in and something came loose. The connection is now intermittent with the input and the connection feels like it’s not holding the microphones 3.5 tip very well. Not good. The 3.5mm Stereo Input can also be used for Timecode input. The Pocket Cinema Camera 4K has one mini-XLR analog switchable input that also supplies phantom power and supports line level (up to +14dBu). This is very cool for a camera in its price range. You probably won’t see this feature on a hybrid anytime soon. These cables are a little hard to find and are more expensive than the average XLR variety. I searched around and ended up buying a Blackmagic Design Mini XLR Cable for Video Assist 4K. It retails for $29.00 US and includes two 19.5″ cables. On my last day with the Pocket Cinema Camera 4K I used it for an easy studio shoot. All the audio was captured with a Sanken COS-11D into the mini XLR. I have to say it’s nice to just plug in a microphone into such a small camera that has phantom power. I used the Lumix 12-35 and focused with the touchscreen, setting exposure with zebra stripes and false color. I do wish the zebras would go lower than 75% as I like to use 60%-65% value for skin tone. The image is nice and detailed and the audio recorded nice and clean. I’m a fan of recording audio into the camera and I know it’s not the best quality you can get but it works for me on these type of shoots. It’s always good to have options and the mini XLR input is a good one. The Pocket 4K has three different media options to record too. 1 x SD UHS-II card slot. For a full list of compatible media check out this post. I always recommend getting the best quality you can afford. I know media can be expensive but verified compatible models will ensure the safest and best results. Don’t stray here. I tried a noncompatible drive and it didn’t work. Shocking right? 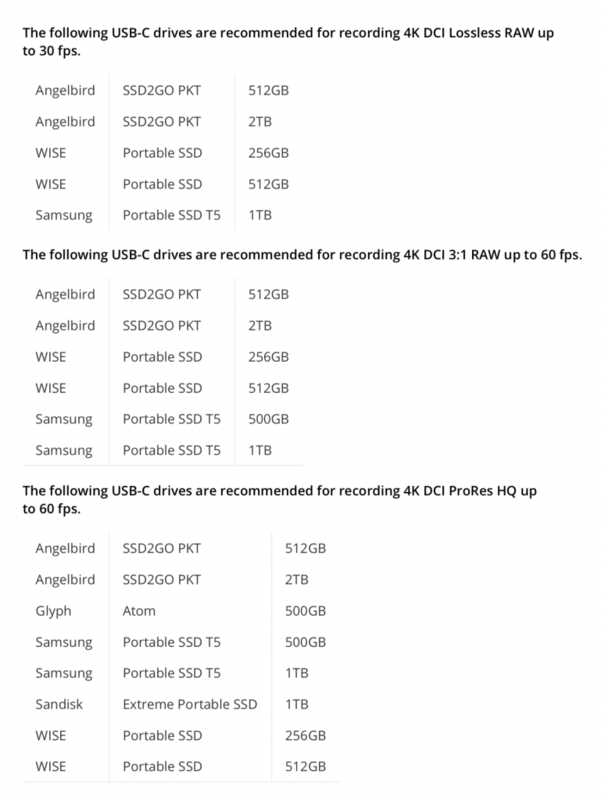 I then tested the Samsung T5 1TB and yes it does work and records without issue as well as the new Anglebird SSD2GO PKT 512GB and 2TB. While I didn’t test all the resolutions and codecs I found All the ProRes options worked without issue. 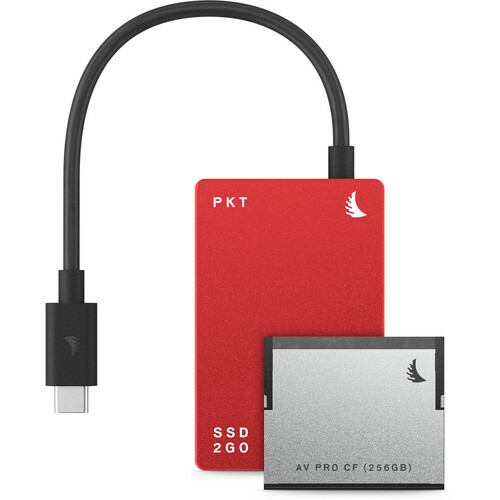 Shooting direct to an SSD drive is really great. Seeing that huge storage available kind of makes me giddy. I have a little setup that might not look so fancy but it works a treat! With no cage, I had to be creative. I added a cold shoe to the top mount and the cold shoe extender. This really worked well plus it didn’t cost me anything since I already had it. Win-win! Unlike the GH5s the Dual Native ISO doesn’t need to be changed to enter it. The Dual Native ISO is 400 and 3200. This can be a little confusing or maybe it’s just me. Here is how it’s explained by Blackmagic Design. I can highly recommend using 1250 ISO over 1000. The image curve does change with the blacks and highlights being more stretched out for a less flat look but it’s much cleaner. 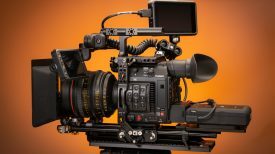 MFT sensors have been problematic when it comes to noise at even modest ISO levels and the GH5s and now the Pocket Cinema Camera 4K are showing how far engineering has come. At 32oo the noise is very similar to 500 ISO but is there any noise reduction going on as well? Noise reduction will smooth out the detail of an image. It’s not very pleasing. Especially on the skin. It makes things look like plastic. From the looks of the test footage, I’m not seeing any aggressive in-camera noise reduction in the image. That’s impressive. This makes cleaning it up with noise reduction software even better and it does clean up fairly easily. Here is where the Pocket Cinema Camera 4K has issues. Usability is different for everyone. I personally do not like to fight a camera while using it. I just want to be able to get the camera out of my way and create with it. This isn’t the case with the Pocket 4K. As I mentioned earlier the camera eats through batteries and shuts down abruptly when the battery is starting to die. That alone is a big problem. I always feel like it’s going to shut down on me in the middle of a take. I really don’t need this type of stress while I’m shooting. Not having an EVF is a problem. The touchscreen while very good isn’t enough for me to rely on in all situations. I struggled in daylight to focus manually. I went to La Jolla to shoot some ocean scenics and it was very difficult to manually focus. The screen is really hard to see on a sunny day. I was also having autofocus issues with the Canon 24-105 and 70-200 F4 lenses with the SpeedBooster ULTRA. It doesn’t work with current firmware. Peaking and zoom helped but it’s not enough for me to feel confident. The screen doesn’t tilt either so you really have to be pretty much at eye level with the camera to operate it. The Pocket 4K likes being in the shade. In my studio set test, I was trying to follow the action more so basically not a controlled situation. I was still having focus issues. Maybe it’s just me. I really missed not having an EVF. The shooting pace is much slower and deliberate for me with the pocket after seeing how many lost takes I had due to missed focus. This might not be an issue for some but it really worries me that I could miss a great moment because I couldn’t focus correctly on time. 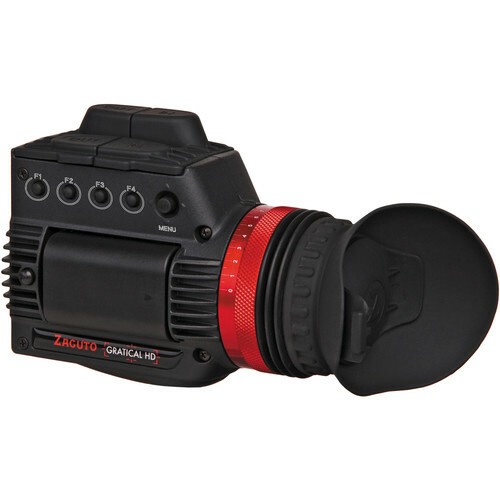 The Pocket 4K needs an EVF like the Zacuto Graticle HD for sunny days to get critical focus and overall usability. Add in the battery life issue and the need to use external power makes the camera a candidate for a cage or rig so kit can be attached to make it usable. While this for many won’t be an issue I think it’s important to know that you will need it and an investment that equals the cameras cost or more is inevitable. I personally don’t mind a cage on a dedicated video camera. With a hybrid, I don’t need all the extras for photography so I would take the cage off when stills are the primary use. A cage with a video camera is almost a necessary item. Stick it in one. Add an EVF, SSD mount and power solution and I think it would be a really good setup. I’m sure a lot of cages will be coming just in time for Christmas. Why Blackmagic Design only uses a Histogram on a cinema camera is a mystery to me. 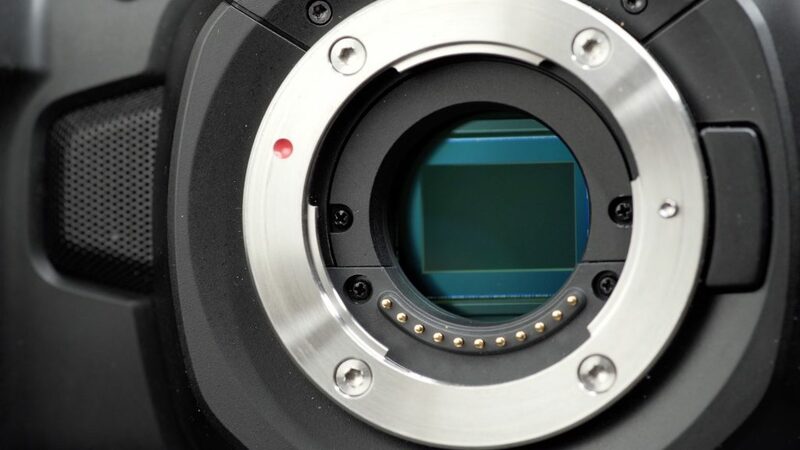 In fact the URSA cameras also only have Histograms. I really don’t like them. For video production, I much prefer a Waveform Monitor. Even a small one like you see on other cinema cameras is very handy for nailing skin tone. The Pocket 4K does have Zebra Stripes but their lowest setting is 75%. Again no love for the skin tone that I like to have around 55-65% depending on the skins shade. I like to turn it on. Set the exposure and turn it off. As is the Zebras are for highlight protection. False color can be a handy tool for exposure and I don’t use it very often but I did with the pocket since it’s really the only tool I could use to assist in getting proper exposure. I don’t like it as much as a waveform monitor though. For focusing, the Pocket 4K has a Focus Assist feature. This puts a red border around the subject when it’s in focus. You have three strength settings available. I found “High” to be too forgiving and “Low” to be somewhat useless. “Medium” is the safest bet however it doesn’t work if the contrast is low. The Zoom feature is good and probably the better option for focusing but if things are moving fast you will miss the shot. I find focusing a big issue for me with the Pocket 4K. Shooting off the back of the camera is not my preferred method and I did get a lot of out of focus shots. Much more than I expected in good shooting conditions indoors. Here is where it all comes down too. Is the image any good? Well yes, it is. In fact, I’m impressed with how good it is and that’s not to take into account the actual price. For only $1,295 it’s a real bargain. Plus it includes the full version of DaVinci Resolve Studio that retails for $299 effectively putting the Pocket Cinema Camera 4K at $996. Crazy. The 120 fps footage is very good also. Most cameras really fall apart at 120 fps. The Pocket does an excellent job. While it can go to 25,000 ISO that doesn’t mean you should. 1250 looks great and even 4000 is very usable. I don’t have a high tolerance for noise and don’t enjoy denoising in post so I tend to keep the ISO levels as low as possible and use lights. For many, I think the ISO noise won’t be an issue. Is it the best, perfect all you ever wanted 4K camera? Of course not, however, I wouldn’t mind having one just for the fact it is so inexpensive and shoots a high-quality codec. I do worry a little about the overall build quality but time will tell if it’s going to last out in the field. The price. At $1,295 USD it’s the least expensive ProRes 4K capable camera on the market. Battery dies and shuts off the camera without warning while recording. Well, my time has come to an end with the Pocket 4K. Time to send it back to Blackmagic Design. It was a fun ride with some turbulence but all in all, a very interesting camera just as long as you can work around some of the quirks I think Blackmagic Design really did something special with the Pocket Cinema Camera 4K. I like the innovation a lot and I think they will sell a crapload of these cameras due to the price alone and the ability to shoot such high-quality images with professional codecs. For $1,299 it’s practically disposable! I bet it will become Hollywoods most popular crash cam. Now if only I had a pocket the camera would fit in.